jizackson had the most liked content! Who's Using The New Firefox? I've been using Firefox (Developer Edition) for several years now and I absolutely love it. Why I use Firefox over Google Chrome: 1) It's not made by Google. I don't trust what they do with my data. I don't like how big they have become. I don't like their politics. 2) Now faster and more lightweight than Chrome. When I launched Firefox with Quantum engine for first time, I noticed a night and day difference from previous versions of Firefox. 3) Firefox is open source. Although it's true that most of Chrome is open source (Chromium), Google adds in all of its proprietary evil before deploying. 4) Mozilla advocates privacy, free speech & an open internet. tru dat, Arizona's where it's at! Urgot needs a buff, stat! Don't know why they nerfed him. Even before nerf, nobody played him. iPhone 5s and IPhone5c thoughts? mine's coming next week will let you know! The initial reviews I've read have all been great. 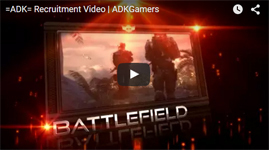 Official Battlefield 4 PC Requirements - Is your PC ready? TF2 Saturday Gaming Get Together! I probably won't be on until after 10pm, but I am down! iOS 7 What are your thoughts? who else is innovating though? same arguments can be made for samsung, microsoft, htc, etc. it's going to be a dogfight for the FA pickups as 16 teams have completely depleted the pool. That'd be awesome.. They totally need to make a live action League of Legends movie! Possible Plot: "After TF gets thrown in jail for throwing a American Express Gold Card at a cashier, Kog'Maw and a just-out-of-rehab Cho'Gath must work together to break him out. While Kog'Maw, dressed up as a Cowboy's Cheerleader, flirts with the security guards, Cho'Gath sneaks by security and knocks out half the prison with his rancid breath. Meanwhile, an unsure Garen wonders why 'he can't quit' Taric." 12 more spots! Trash talkers welcome!